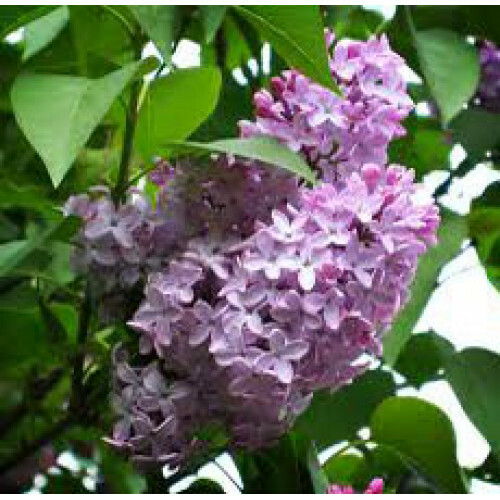 Lilac, botanically known as Syringa vulgaris, the color of the oil originates from this shrubs flower, commonly seen as a light purple. Lilac essential oil is extracted from the fresh Leaves and fruit by steam distillation method and it is on the top of the perfumery note. Lilac essential oil is a natural anti-depressant and has an uplifting and relaxing aroma, it neutralizes tobacco odor and smells like spring. Lilac was used as a vermifuge in 19th century America, also as a tonic anti-periodic and febrifuge and has been used as a substitute for aloe. Medically used as an early treatment of malaria. Lilac is the symbol of love and purification. The scent of fresh lilac flowers was once thought to drive away ghosts. Described by perfumers as fresh, green and jasmine-like, the lilac flower symbolizes the first emotions of love, innocence, and purity. It is the welcome harbinger of spring, and truly a beloved flower.